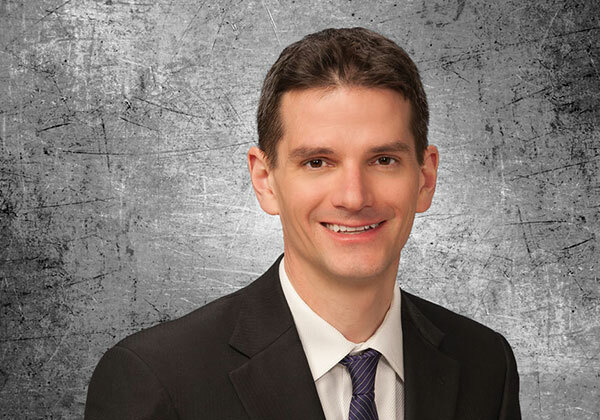 Stephen Komarec is a registered patent attorney and has been practicing in the Twin Cities since 2004. Steve has experience in a variety of mechanical and electro-mechanical related arts including, medical devices, climate control systems, fluid handling systems and aerospace systems. He works with large corporations, small businesses, and independent inventors on issues of patentability, patent infringement, freedom-to-operate, IP due diligence, and strategic counseling. Steve also enjoys working on reissue and design patent applications. During law school, Steve clerked for a judge in United States District Court for the Eastern District of Wisconsin. He has also spent several summers working as an engineering intern at large and small manufacturing companies. Prior to school, Steve served in the United States Army including a deployment to Bosnia during Operation Joint Endeavor. In his free time, Steve enjoys spending time with his wife and three daughters, outdoor activities and following his favorite sports teams.